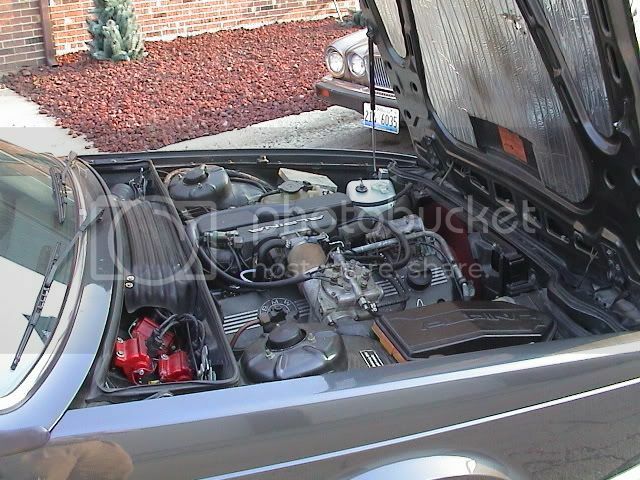 Here a a couple of the initial photos from my 88 635csi Turbo conversion. These pictures were taken before conversion. 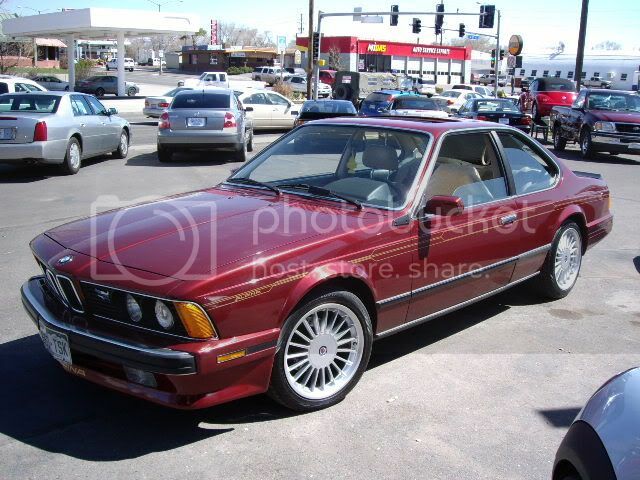 My car began life as a late model M30/B35 automatic. I purchased the 745 upgraded K27 kit from David @ EcarToys, which with a little cutting and tweaking worked out great. 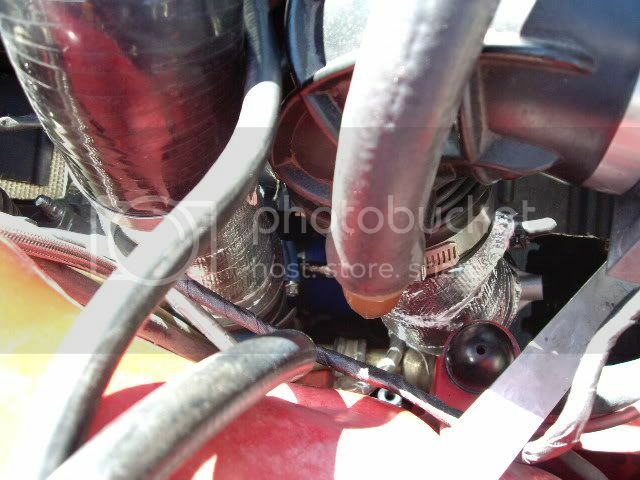 As you can see here (the turbo is sitting on the cross member about 8in back from were it would end up) the E24 motor mount was directly in the way of the turbo's intended location. Here was one of the many test fits prior to dozens of the re-clockings required to squeeze the turbo in a location not made for it what-so-ever. Here is looking down on the finished product, the turbo has enough room, but the waste-gate required some fabrication in order to not rub against the fender-well reinforcement. The project is finally done, expect for any other mods I do later and fabrication of some sort of AFM mount (if anyone has a suggestion for the AFM I'm all ears). Very nice! Nice colletion you got there! Thanks Scottie, I guess you could say I went overboard on the coupes, but they leave less room for backseat drivers. I Love the 635 Turbo you got there. I just have a stock 635 csi. 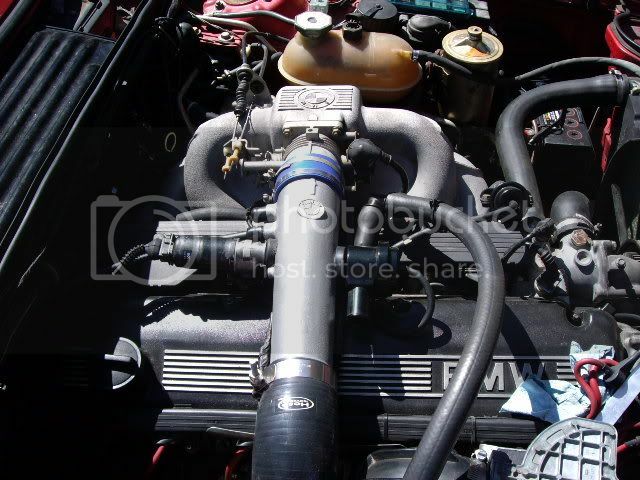 That 6er is amazing especially the color...what are you using for engine management? 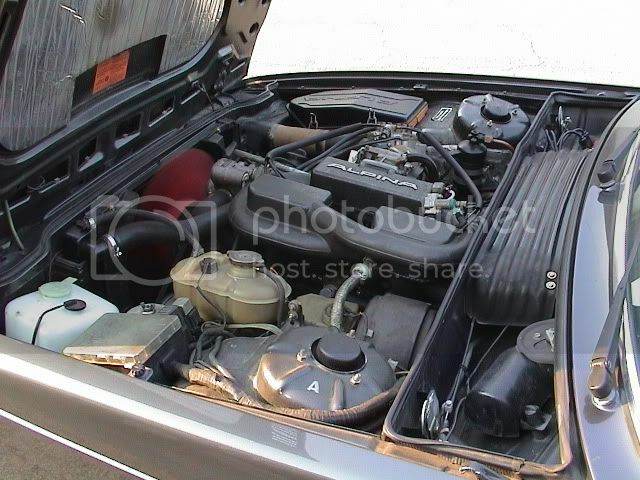 just wondering as my M635csi is about to go under the knife for same project. Thanks guys. 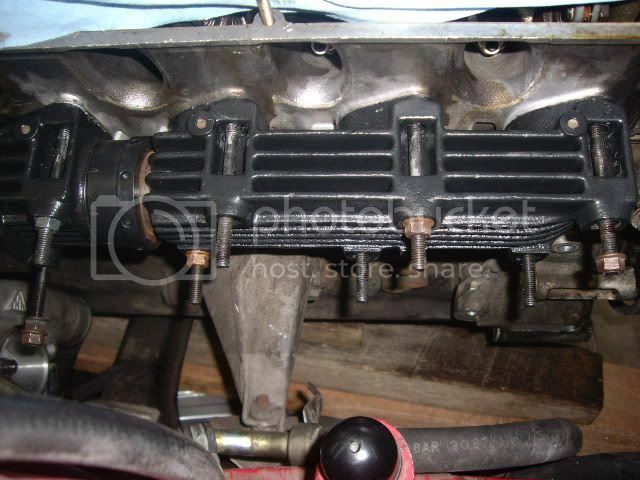 I am using the stock Motronic system with an upgraded chip supplied by David @ ecartoys. 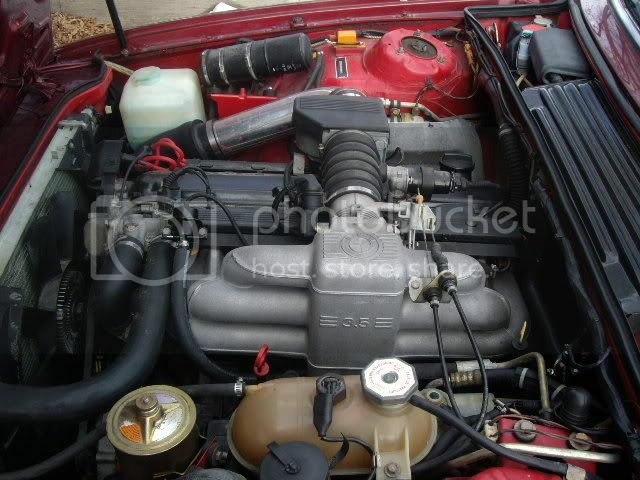 Since the last pictures were taken I added a big bore throttle body and a port matched intake manifold, those addtions right there woke the car up as much as the addition of the Turbo! 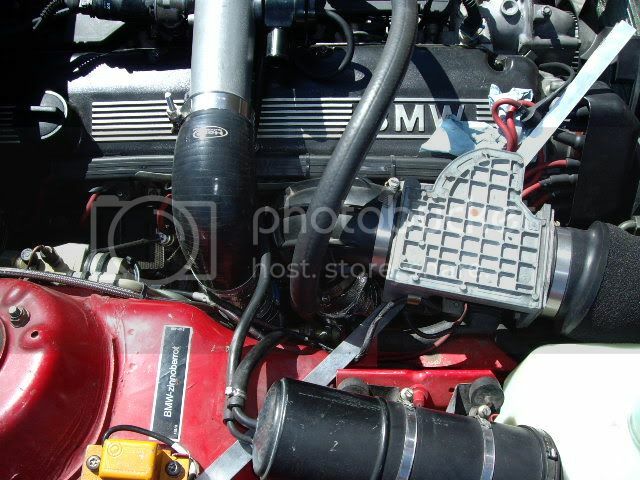 Perhaps one of these days I'll upgrade to a Mega Squirt, but right now I'm working on a oil-cooler install. Ninety, Were you able to use the 635's stock engine mount in the turbo converison?
" Coupes leave less room for backseat drivers..."
Ryan...Myself being a long-time fan of the e24 (my Alpina modified daily-driver is almost 30 years old now) I have also long contemplated just such a turbo converstion, that you've actually bravelly accomplished...Bravo! 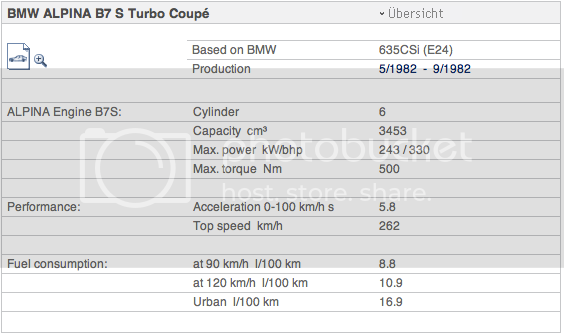 Note how BMW 'kindly' retained the 165mph speedo in the US cars? (e.g. 262kph) as perhaps this was their reasoning? David at ecartoys is quite a good resource, isn't he? Best of luck with finishing her up...looks great! Never trust any driving directions provided by anyone from Texas! 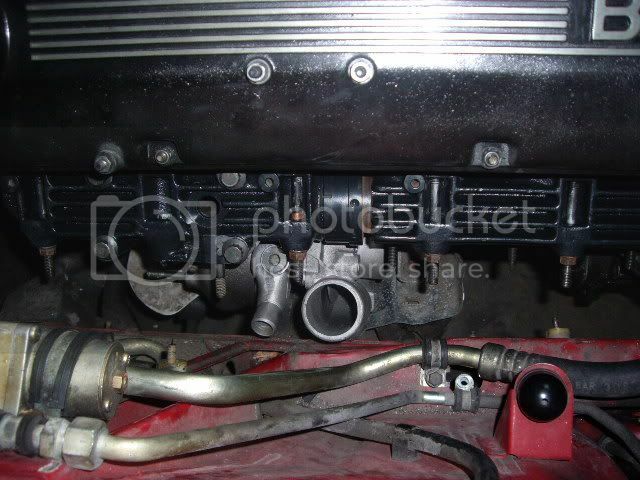 Did you use the original downpipe from the 745 in your E24? 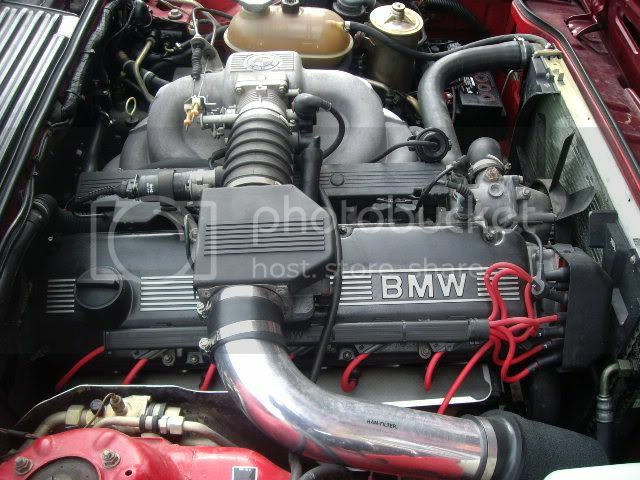 I'm currently busy bolting the 745 turbo setup to an M30B28 E24 and having trouble to get the downpipe fitted. 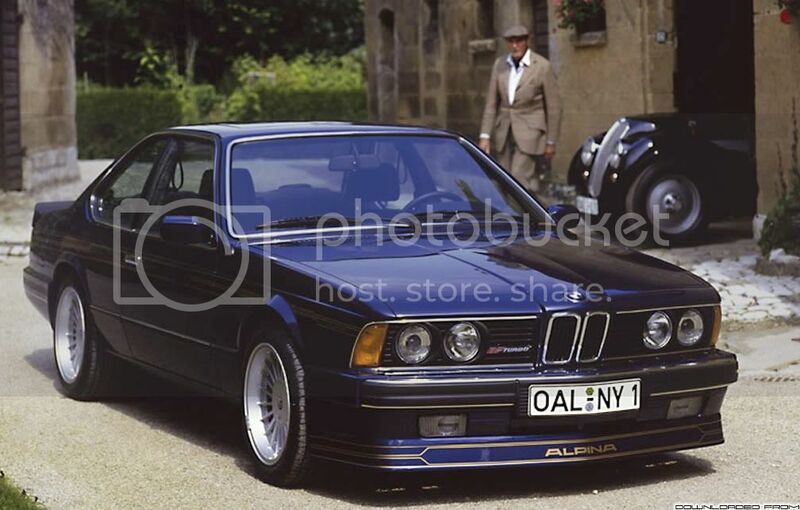 I'd love to have that Alpina intake on my car and I would love to have their intercooler, but alias those bits probably would eclipse the value of my car.